UMHS will soon be implementing tighter controls for how employees access the wired and wireless computer network. This initiative — called “NAC” for Network Admission Control — will ensure that the health system’s IT environment is as secure as possible for all patients, faculty and staff. While NAC will be rolled out over the next several months, IT teams have already begun working with users to identify any PC or Mac computers that are UMHS-funded or owned, but not yet managed as CoreImage devices. These types of computers are primarily found in the research areas of the academic medical center. Device Support staff are in the process of contacting users and arranging to “re-image” these computers so that they will include the correct policy and security settings required to keep infrastructure safe. Particular attention is also being paid to securing personal smartphones, tablets, and laptops, given their increased use in the sharing of health care information within the work environment. All UMHS staff should expect to receive email notifications over the next few months if personally-owned devices have connected to the UMHS-8021X wireless network for Wi-Fi. Personal and non-UMHS devices enrolled in AirWatch. AirWatch provides the encryption and updates needed to keep personal devices secure. Keep the applications and operating system on your personal mobile devices up-to-date. Enroll your personal smartphone, tablet or laptop in AirWatch. 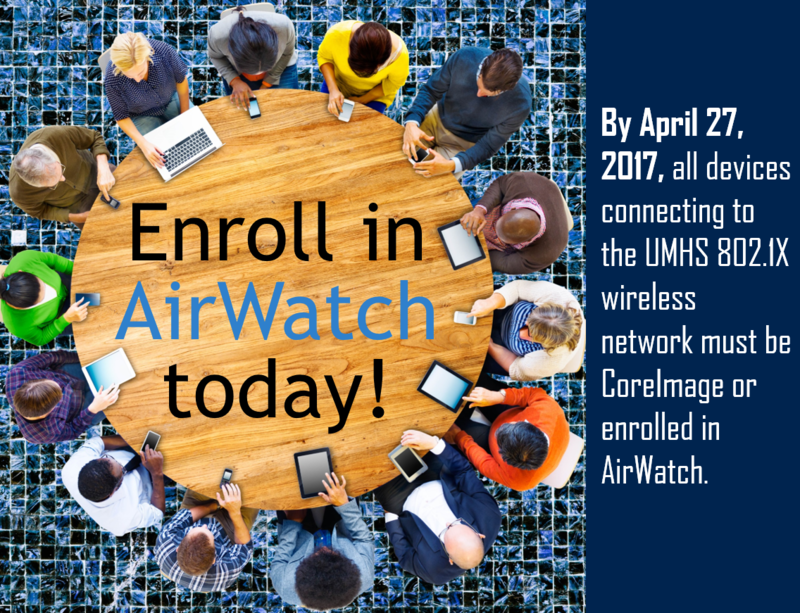 A link to more information about AirWatch is available on the UMHS Internal Home Page. Unregistered or personal mobile devices without AirWatch will be limited to the MWireless network after NAC takes effect. 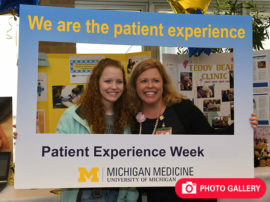 While MWireless provides Wi-Fi access to the internet, it does not allow connection to internal health system resources. That’s why we are working to promote AirWatch now and encourage everyone at UMHS to play a part in making the organization’s IT systems safer. Questions? Please contact the Service Desk at 734-936-8000.